An erstwhile capital of the Wu Kingdom of 12th – 4th BC, Suzhou has been declared as the World’s Heritage Site by UNESCO due to its famed classical gardens and watersides. Subsequently, it is often referred as “The Venice of the Orient”. In the past it laid the foundation of Wu culture that has nurtured the metropolis city of Shanghai. Today, Suzhou is the epicentre of Yangtze River Delta economic zone. The Venice of the Orient is situated in the southern direction of Jiangsu Province, with Shanghai to its east. 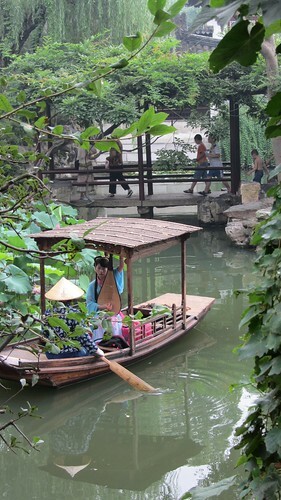 Suzhou is the cradle of Wu Culture and plays a significant role in the cultural history of China. Several famous poets and artists emerged from the city. The finest art schools in China, the Wumen Fine Arts School began its origins in the boulevards of Suzhou. Fabricated in 514 BC, Suzhou’s 42% area is constituted of water with numerous large ponds and wide streams. This ancient city with 2,500 year old history retains its past even today, in modern China. The design layout of Suzhou is similar to a chessboard, with streets running along the rivers, while land and water routes run corollary. The gardens of Suzhou have attained their charm and high reputation due to their striking beauty and harmonious construction. Currently, 60 gardens have been well-preserved and a few of them are listed in the UNESCO’s World Heritage List of 1997. These brilliant pieces of nature include Lingering Garden, Garden of Master of Nets, Humble Administrator’s Garden and the Mountain Villa. Zhuo Zheng Yuan (Humble Administrator’s Garden) located in the north-east corner of Suzhou on the Dongbei St boasts of a remarkable collection of bonsai trees. The garden is said to have costed a big boat loaded with silver and 16 years to construct it. The garden is open for visitors from 7:30AM-5:30PM. Free tours across the garden are conducted after 10minutes; however, the language is exclusively Mandarin. While touring the garden you would be pleasantly surprised at the carved tree roots, followed by a boat ride through the canals of the garden. You may even witness a Chinese marriage. Wang Shi Yuan (Garden of the Master of the Nets) is located southwards on the Fenghuang Rd. The garden operates between 7:30AM-5:00 PM. It was originally constructed in 1140, and renovated by bureaucrat Song Zongyuan in 1770. 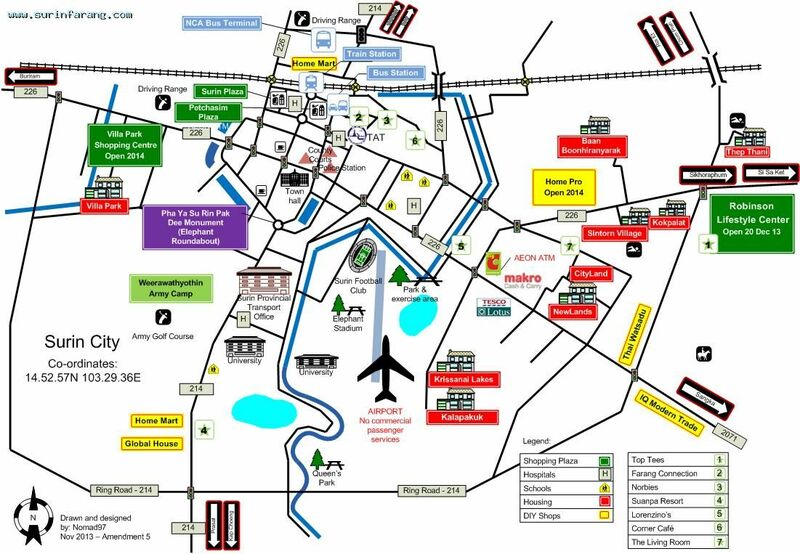 The area encompasses garden and house in the most perfect proportion and harmony all throughout Suzhou. Do not be fooled by its compact size the garden will occupy you for half a day. Certain evenings host traditional performing arts. 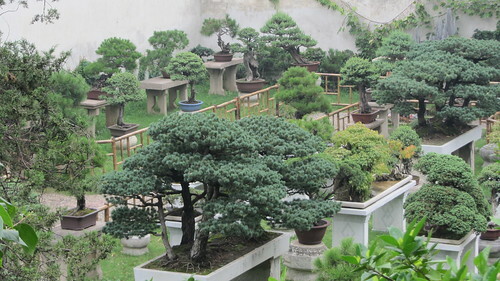 Liu Yuan (Lingering Garden) is amongst the largest and most significant classical gardens in the ancient city and is declared a World Heritage Site. Huanxiu Shanzhuang (Mountain Villa with Embracing Beauty) is perceived as the premium rock and water garden construction in Suzhou. Shi Zi Lin (Lion Forrest Garden) is adjacent Zhuo Zheng Yuan, off the Lindun Rd. The garden opens for visitors between 7:30AM-5:30PM. It is admired for its incredible collection of pitted and eroded rocks, highly valued by Chinese scholars of the ancient world. Shi Zi Lin was originally a division of a Buddhist monastery. The garden has several winding paths and reminds the story of Buddhist and the lions. Canglang Ting (Surging Wave Pavilion) off the Renmin Rd, near the Confucian Temple is amongst the oldest collection of scholar’s (private) gardens. It is an ideal escape for a hot summer day due to its dense foliage. 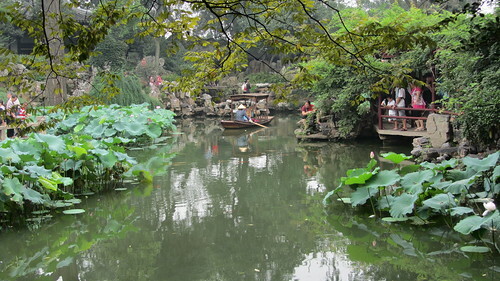 YiPu Garden (Garden of Cultivation) is located inside a canal on the northwest corner of Suzhou. The best part lies at the back of the garden. Turn to local shop keepers for assistance. Wufeng Xianguan (Tarrying Garden) is built outside the Changmen Gate and was constructed during the Ming Empire. It was refurbished by the Qing Dynasty. The garden encompasses Mandarin Duck Hall containing rare pieces of furnishing. 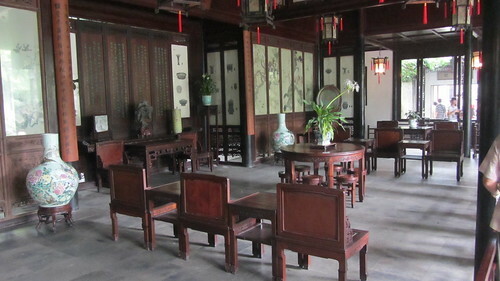 The gardens also have some buildings and houses around with traditional Chinese furniture. Yi Yuan (Garden of Pleasure) is a petite garden for sipping on a refreshing cup of Chinese tea. You can find several local elders basking here. Ou Yuan (Couple’s Garden Retreat) is shyly hidden off of Pingjiang Rd. It was constructed by a 20th century couple. Numerous garden rooms lead you to different views. Since the garden has covered paths, therefore you can thoroughly enjoy the garden even on a rainy day. Sūzhōu Bówùguǎn is the most famous museum located on 204 DongBei St and designed by I.M. Pei displaying the marriage of modern architecture with Jiangnan flair. It houses the Ming Dynasty’s scholarly documents. You can visit the museum between 9AM-5PM. Ding Hui Temple is a modern temple erected on the Tang Dynasty temple site. The temple is surrounded by300 year-old Ginkgo trees and a few ancient stone pillar base. 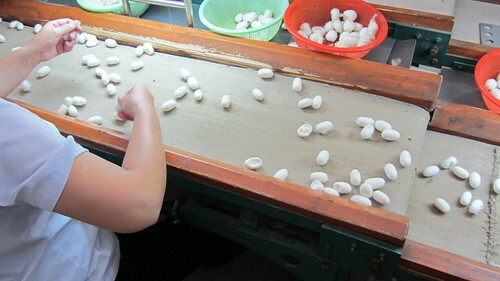 Suzhou is also famous for silk and you can visit a silk museum and factory. 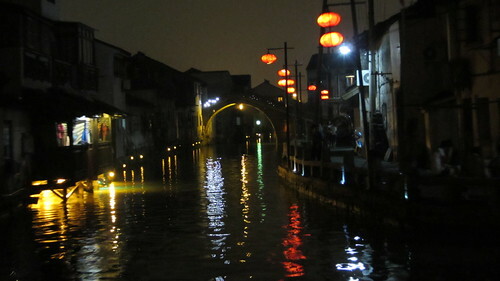 Another city similar to Suzhou is called “ZhouZhuang”. 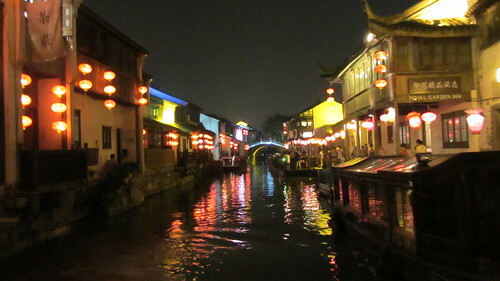 It is also famous for its canal and also located around Shanghai. 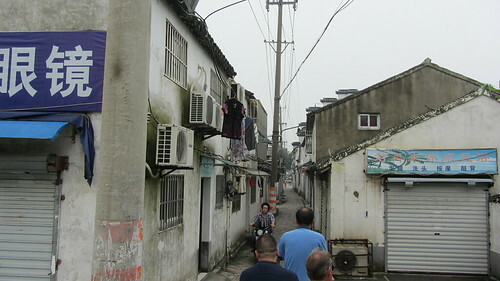 If you are looking for something more authentic and less touristic, try Zhouzhuang.